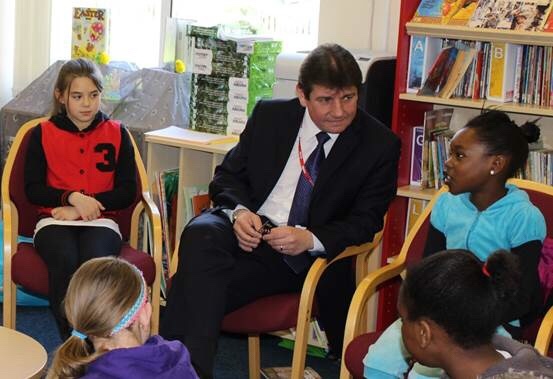 Stephen Metcalfe, Member of Parliament for South Basildon and East Thurrock, is supporting Voice Box, an annual joke-telling competition designed by the Royal College of Speech and Language Therapists (RCSLT) to build schoolchildren’s communication skills. Over 10% of children start school with some form of language disorder. Undetected or unmet speech, language and communication problems can lead to low levels of literacy, poor educational attainment, poorer mental health and wellbeing and, in turn, difficulties finding employment, and life chances. Stephen invites both mainstream and specialist primary schools to bring laughter into their classrooms this autumn by taking part in the competition. Schools should hold their joke-telling contests between October and November and then submit their pupil’s funniest joke to the RCSLT by 30 November for a chance to go through to a grand final at Westminster, London, in 2019.